2018 just before Christmas, RYO, the largest shopping center in Panevėžys region, launched individual design information terminals for visitors. 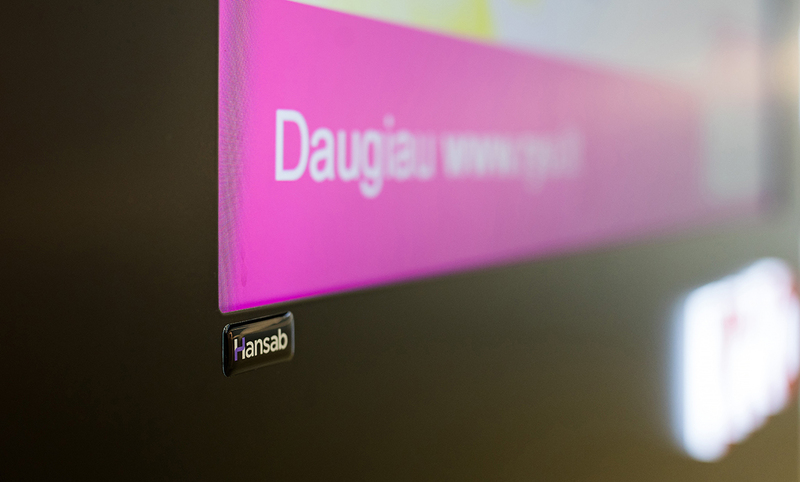 Info terminals are tailored to the needs of the customer: custom-designed housing with touch-sensitive screens, the terminal detection system application at the terminal is designed exactly by customer requirements. 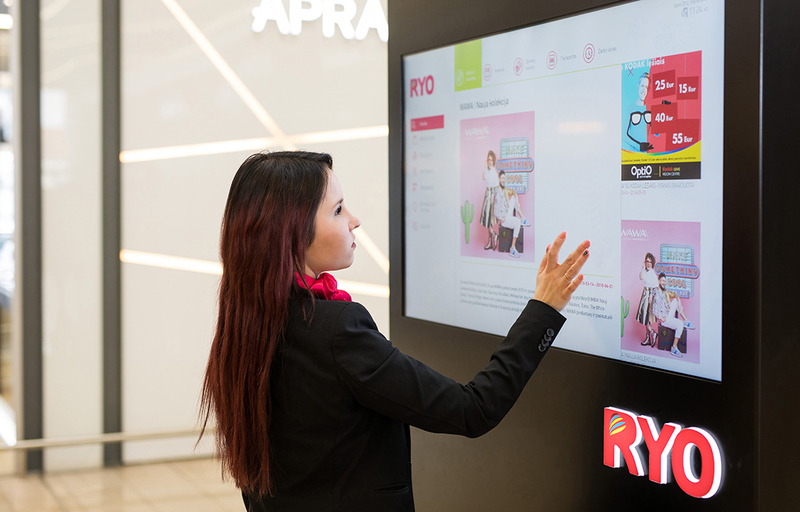 On one side of the terminal has a touch screen with the RYO shopping center wayfinding system, and on the other side – a professional 65’ inch Samsung display with a content management system for advertising to visitors. 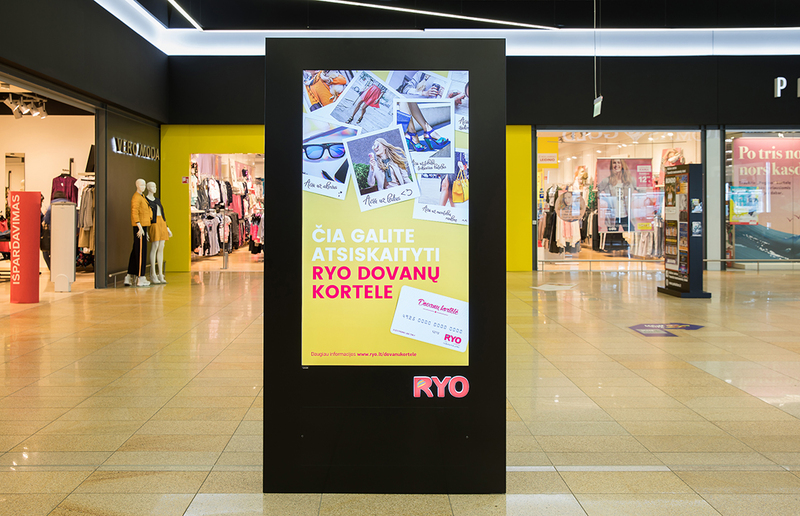 "We have been looking for solutions that would help to pay customers' attention by informing about the news and offers offered by the shopping center and tenants", - comments Vilma Paškevičienė, manager of RYO shopping center. Hansab has been chosen as a reliable and professional partner for this project, which has implemented similar projects in 2 large shopping and entertainment center's in Lithuania – Mega and Panorama. The wayfinding system helps visitors to find a store in the supermarket, to find out the sales and events stores offer. All the functionalities of the application are made according to the client's brand manager: matte body, illuminated logo, info terminals adapted to the general interior of the center. "Info terminals provide an excellent image, allow convenient and flexible broadcasting of relevant information to customers, prompt updating of displayed content and accurate timing of when and what information is being broadcast", - V. Paškevičienė shares the advantages of the system. Information terminals are not only a modern tool for spreading information to visitors, but also a modern part of a modern shopping center. These terminals with aesthetic design provide the center with convenience for visitors in the shopping center.